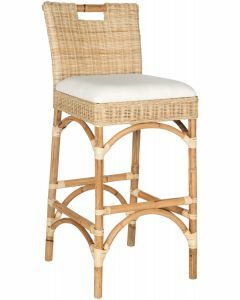 Inspired by daydreams of tropical breezes, this rattan bar stool transforms any interior into an exotic oasis. Crafted with natural mindi wood, its texture and honey brown finish bring depth and dimension to any open plan dining room. An instant vacation. 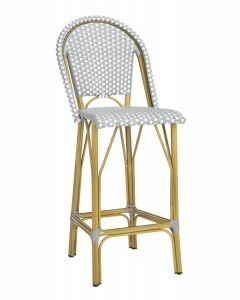 This stool measures 17.7" x 17.7" x 31.1”; seat measures 14.2" x 14.2" x 30.70”. Click on images for greater detail.